French President: Homework Just Isn’t Fair! Homework is lame. Just ask any kid: Would you rather be glued to a desk doing long division or playing video games with your friends? But even kids, who love to whine to their parents about fairness, wouldn’t go so far as to say homework is unfair. Leave it to an adult to do that. 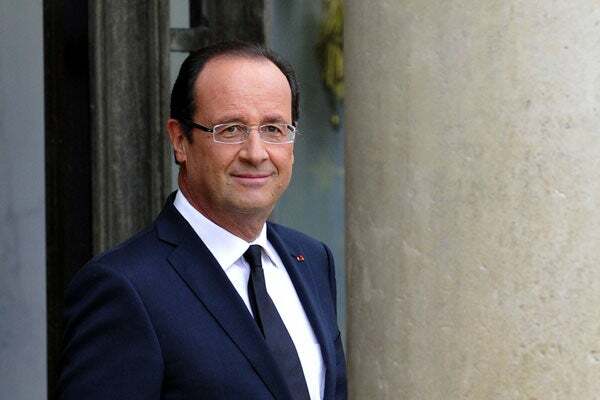 Not just any adult—the president of France, François Hollande. Homework, in other words, is unfair because some have more opportunity than others to benefit from it. All kids in a class, mind you, get the same homework, are expected to hand it in at the same time, and are graded according to the same scale. That may be just, but for liberals, it’s still not fair that some get parental help while others don’t. Hollande’s silly proposal, however popular it may be with kids and liberal ideologues, perfectly illustrates how the left has been trying to redefine “equality of opportunity” to mean sameness of opportunity. Whereas equality of opportunity means the absence of legal or artificial impediments to getting ahead in life, sameness of opportunity demands that all should have exactly the same opportunities in life. What was once thought to be a part of life is now seen as an injustice that ought to be remedied through heavy-handed government intervention. In fact, the more you think about all the ways in which we are different and how many opportunities grow out of the vagaries of life, the idea that all should have the same opportunities sounds ludicrous. Is it really fair that the smart and hard-working kids who get good grades have better opportunities to get into college than the below-average and lazy kids? Should we devise ways to deny them the use of their natural talents and aptitudes, seeing how unequally distributed they are among the population? And what about the kids who speak French at home? Is it fair that they have an edge over the children of immigrants? Should the government ban the use of foreign languages in the household? Or maybe just take over the education of these kids to ensure they don’t fall behind? The call for sameness of opportunity is really a totalitarian mandate to bring everyone down to the same level. Rather than chase these egalitarian pipe dreams, let’s focus instead on how to expand opportunity for all. And sorry kids, that means keeping homework.